A California youth volleyball team has saved a woman’s life after discovering her dangling from a bridge during after-school practice. According to one of the students, 12-year-old Branden Ezell, the woman initially waved at the group, catching their eye in the process. “We’re walking up and she waves at us so we wave back and by the time we looked away and then look back, she’s already hanging off — like full-on hanging off, just one arm holding her up,” Ezell said, according to NBC News. Listening to his coach’s instructions, one of the boys, Elijah, began to tell the woman just how important her life was. “Elijah said, like, ‘Your life is worth it, no matter how much things are happening in life, you always gotta think about the positive, you gotta count your blessings,” recalled a fellow student, Joshua Velasquez. As police helicopters hovered overhead, the boys just kept on speaking truth and life over the embattled woman. Then, as their words of comfort and hope continued to minister to the woman in her grief and pain, she eventually hoisted herself back up onto the bridge. Authorities praised the team’s quick-thinking and said it is likely they prevented a potential suicide. “She admitted to wanting to commit suicide,” Lt. Mark Hudson said, according ot the Fresno Bee. 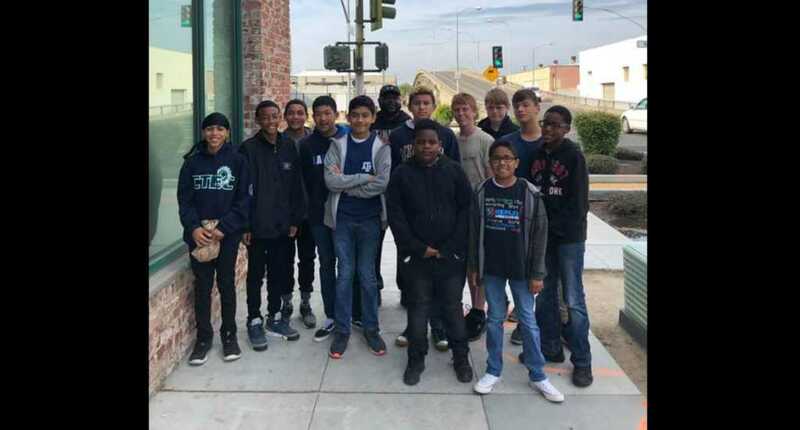 “These young men stepped up when no one else could,” said Timothy Yeager, Kepler School’s Director of Student Services of the boy’s heroic actions. According to local law enforcement, the woman is now being looked after in a mental health facility. The school also noted that it had arranged for a psychologist to speak with the boys after this traumatic incident.